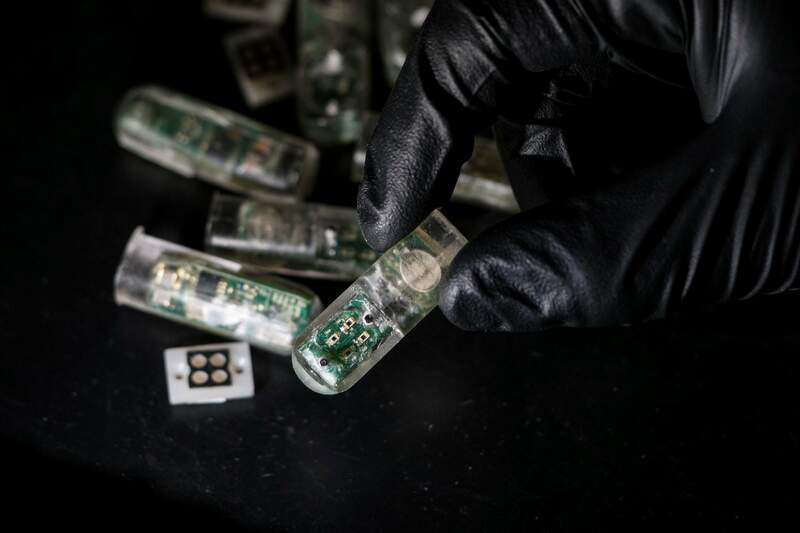 A capsule packed with electronics and genetically engineered living cells in Cambridge, Mass. Researchers at MIT, who tested the swallowable device in pigs, say it correctly detected signs of bleeding. 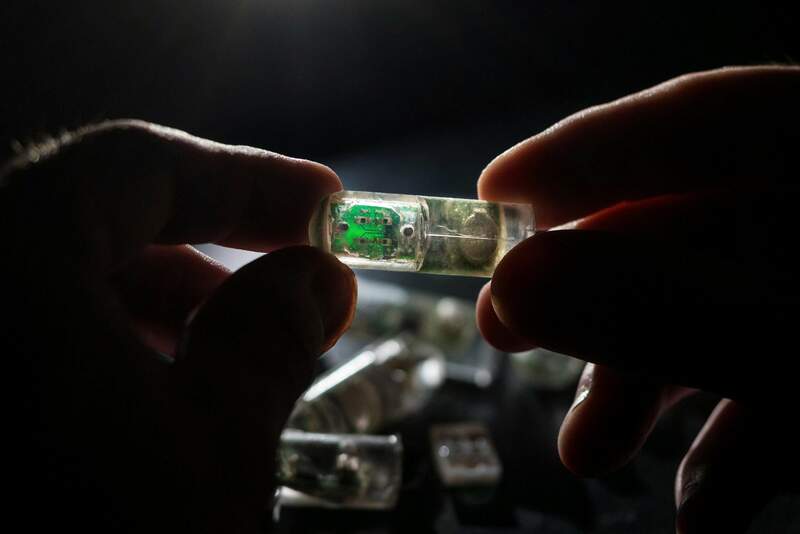 The results, published online Thursday by the journal Science, suggest a smaller version of the capsule could eventually be used in humans to find signs of ulcers, inflammatory bowel disease or even colorectal cancer.